Conrad Thompson jokingly posited that this particular profile piece on the WWE Network could be their series finale rather than a season one, but the contentiousness of the subject matter was what made the topic so tantalising to begin with. 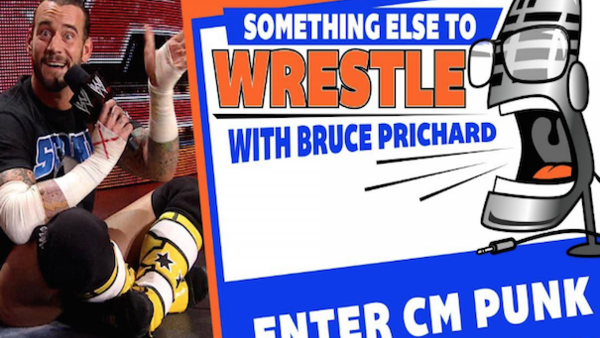 CM Punk's tumultuous tenure with WWE came to an end in 2014 in a fashion later dissected in excruciating detail on a now-infamous podcast with Colt Cabana. The very medium found itself under threat as a result, with a lengthy lawsuit filed by WWE doctor Chris Amann over the comments Punk made about his alleged negligence during some injury-ravaged later days for the 'Voice Of The Voiceless'. Had Amann won, it would have set a precedent that could have ruined podcasts for everybody - particularly the likes of Thompson and Prichard. Lawyers would be employed to comb through hours of content for minutes of controversy; a new gold rush for those able to profiteer from comments made in anger, humour or ignorance.